A CPA is a certified public accountant and is licensed by the state. In California, to earn the prestige associated with the CPA license, individuals are required to demonstrate their knowledge and competence by passing the Uniform CPA Exam, meeting high educational standards and completing a specified amount of general accounting experience. The AIF® designation is the first and only designation that demonstrates knowledge and competency in the area of fiduciary responsibility. Holders must successfully pass an exam, sign and adhere to a written code of ethics and complete four hours of continuing education credits each year. AIF® designees have a reputation in the industry as being the best positioned to implement a prudent process into their own investment practices, as well as being able to assist others in implementing proper policies and procedures. Alan Clopine is the CEO & CFO of Pure Financial Advisors. He currently leads Pure Financial Advisors along with Michael Fenison and Joe Anderson. Alan joined the firm about one year after it was established. At that time the company had less than 100 clients and approximately $50 million of assets under management. Currently, Pure Financial has over 2,100 clients and manages over $2.1 billion in assets. Alan has provided tax planning services for individuals, corporations, and trusts for over 30 years while running multiple companies. Another of his functions at Pure is directing the tax planning department to recommend and implement integrated tax planning strategies to reduce current and future income taxes. Alan is the co-host of Your Money, Your Wealth®, a financial talk radio show, heard weekly in San Diego on KFMB as well as on podcasts. The show launched its television debut in 2014 and is currently aired weekly on CBS in San Diego. 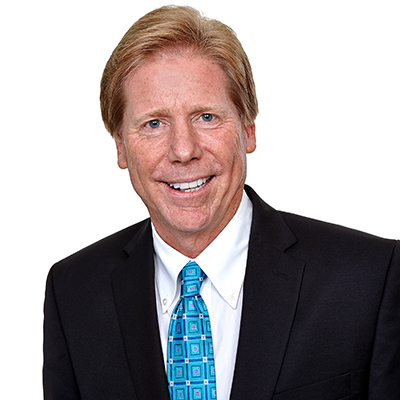 Alan received a Bachelor’s degree from the University of California, San Diego and received his CPA certification in 1984. He currently volunteers as president of Vida Joven, a non-profit organization that supports an orphanage in Tijuana as well as various activities at St. Peters Episcopal Church. Prior volunteer activities have included over ten years of coaching youth sports in baseball and soccer. Alan enjoys hiking, running 5k races, travel, golf, playing guitar and hanging with his family. Alan is married to Anne and has two sons named Robbie & Ryan.